Here is the thing: aesthetics matter, even in places that you wouldn’t expect. For example, when you are reading a big block of text (like this blog), you probably don’t think of it as “visual,” but it is. There is the choice of font, the width of the spaces between words, the length of paragraphs. Attractive visual choices make the process of reading much more enjoyable, even when the reader doesn’t quite realize it. When you are creating your webinar, you might think that the most important thing is the information that you will be imparting. And absolutely, it is essential! But if you are presenting that information in a dull, unattractive way, then your message isn’t going to land properly. How can you avoid this? By hiring a virtual assistant experienced in graphic design to handle the visual side of your webinar! Visuals matter when creating a webinar. Make sure that yours entertains the eyes with the help of a virtual assistant! A webinar is basically an online seminar that participants can attend (and you can give) in the comfort of their own home. While this is much more convenient than heading out to a hotel convention room to see an in-person seminar, it can be much less engaging. Three things matter if you want to give an effective webinar: your presentation, your message, and your slidedeck. You need a well-thought-out message full of information that will be of use to your customers. You need to present this information in an interesting way. And finally, you need visuals that will reinforce that message and keep your viewers engaged and interested in what you are saying. I’ve worked on countless webinars for my clients, every one of them a little different. I can tell you from experience that the most successful webinars were always the ones that had a polished, visual component. Webinars with boring slides that are little more than black text on a white background tend to fall flat, with an audience that is less than engaged. But webinars that have professional-designed slides with graphics and interesting font choices tend to keep eyes glued to the screen as you breakdown your message. I don’t know about you, but I’d prefer a captive audience over one that is glassily staring at their monitor or even worse, multi-tasking! Unless you have a background in graphic design, it can be difficult to properly balance the many visual components that go into creating attractive webinar slides. When designing a webinar, it isn’t just a matter of creating the individual slides. You have to keep the entire presentation in mind, thinking about how each slide will transition into the next. If you have one card with a “beach” motif and the next with a “garden” aesthetic, it’s going to be visually jarring in a way that your audience might not consciously realize. Another thing you need to consider is the text on the slides. Like I said above, font size and type can affect how your audience absorbs the information. Everything needs to be laid out on the slide in a visually-engaging manner. If a piece of text is too big, or a little off-center, or in comic sans, it can hurt your presentation. Speaking of your message, coming up with the copy that will be on your slides is another challenge. You need to condense entire sections of your presentation into just a few words that will fit on a slide. It can be helpful to have a professional copywriter working to make sure that that your message is communicated in as clear and concise a way as possible. You don’t want a virtually-boring webinar! Give your audience something to look at with some graphic design from a virtual assistant! Of course, the visual side of your webinar is just one component. 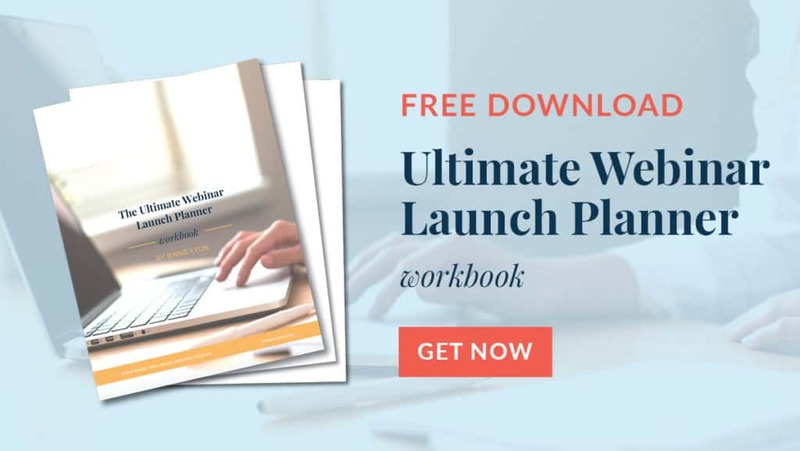 If you find yourself a bit lost when designing your webinar, I highly suggest checking out my free step-by-step guide to webinar creation. 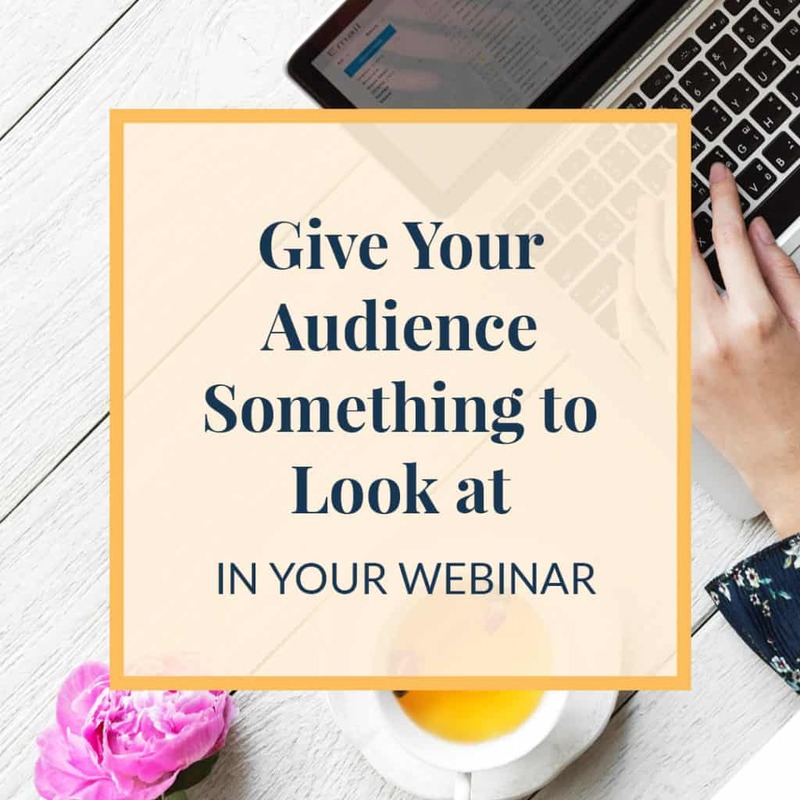 Every step that goes into a webinar is included, from the moment you come up with an idea to the end where you put the recorded webinar up on YouTube or use it as a free opt-in! Webinar visuals are often put on the back burner when creating your webinar, but they should be right up front! Without visually-engaging slides, everything you say might fall flat. But when you have beautiful, well-designed slides, your message will be reinforced, leaving your audience happy and entertained, as well as educated! If you’d like a hand with the visual aspect of your webinar, or any of the other steps that I talk about in my free guide, please contact me today. Together we can create a webinar that will engage your customers’ brains AND eyes, transforming them from audience member to client!